The “Scramble for Africa” was the invasion and occupation, colonization and annexation of African territory by European powers during the period of New Imperialism, between the 1880s and the start of World War I. In 1870, 10 percent of Africa was under European control; by 1914 it was 90 percent of the continent, with only Abyssinia (Ethiopia) and Liberia still independent. The Portuguese had been the first post-Middle Ages Europeans to firmly establish settlements, trade posts, permanent fortifications and ports of call along the coast of the African continent, from the beginning of the Age of Discovery, in the 15th century. There was little interest in, and less knowledge of, the interior for some two centuries thereafter. So Africa was called “Black Continent”. European exploration of the African interior began in earnest at the end of the 18th century. By 1835, Europeans had mapped most of northwestern Africa. In the middle decades of the 19th century, the most famous of the European explorers were David Livingstone and H. M. Stanley, both of whom mapped vast areas of Southern Africa and Central Africa. Arduous expeditions in the 1850s and 1860s by Richard Burton, John Speke and James Grant located the great central lakes and the source of the Nile. By the end of the 19th century, Europeans had charted the Nile from its source, traced the courses of the Niger, Congo and Zambezi Rivers, and realized the vast resources of Africa. Even as late as the 1870s, European states still controlled only ten percent of the African continent, all their territories being near the coast and a short distance inland along major rivers such as the Niger and the Congo. The most important holdings were Angola and Mozambique, held by Portugal; the Cape Colony, held by the United Kingdom; and Algeria, held by France. Britain had Freetown in Sierra Leone, forts along the coast of Gambia, a presence at Lagos, the Gold Coast protectorate, and a fairly major set of colonies in Southern Africa (Cape Colony, Natal, and the Transvaal which it had annexed in 1877). Southern Africa also had the independent Boer Orange Free State. France had settlements at Dakar and St Louis in Senegal and had penetrated a fair distance up the river Senegal, the Assinie and Grand Bassam regions of Cote d’Ivoire, a protectorate over the coastal region of Dahomey (now Benin), and had begun colonization of Algeria as early as 1830. Portugal had long established bases in Angola (first arriving in 1482, and subsequently retaking the port of Luanda from the Dutch in 1648) and Mozambique (first arriving in 1498 and creating trading posts by 1505). Spain had small enclaves in north west Africa at Ceuta and Melilla (Spanish North Africa). Ottoman Turks controlled Egypt, Libya, and Tunisia (the strength of Ottoman rule varied greatly). What Caused the Scramble to Happen? Most of factors were to do with events in Europe rather than in Africa. Sub-Saharan Africa, one of the last regions of the world largely untouched by “informal imperialism”, was attractive to Europe’s ruling elites for economic reasons. During a time when Britain’s balance of trade showed a growing deficit, with shrinking and increasingly protectionist continental markets due to the Long Depression (1873–96). Africa offered Britain, Germany, France, and other countries an open market that would garner them a trade surplus: a market that bought more from the colonial power than it sold overall. The companies involved in tropical African commerce were relatively small, apart from Rhodes’s Mining Company. Rhodes had carved out Rhodesia for himself; Leopold II of Belgium later, and with considerable brutality, exploited the Congo Free State. These events might detract from the pro-imperialist arguments of colonial lobbies, who argued that sheltered overseas markets in Africa would solve the problems of low prices and over-production caused by shrinking continental markets.This shrinking of continental markets was a key factor of the global “New Imperialism” period. The end of European trading in slaves left a need for commerce between Europe and Africa. Capitalists wanted to exploit the continent so that new ‘legitimate’ trade would be encouraged. Explorers located vast reserves of raw materials,upon which European industry had grown dependent. They plotted the course of trade routes, navigated rivers, and identified population centers which could be a market for manufactured goods from Europe. It was a time of plantations and cash crops, dedicating the region’s workforce to producing rubber, coffee, sugar, palm oil, timber, etc for Europe. And all the more enticing if a colony could be set up which gave the European nation a monopoly. As Britain developed into the world’s first post-industrial nation, financial services became an increasingly important sector of its economy. Invisible financial exports, especially capital investments outside Europe, particularly to the developing and open markets in Africa such as to the white settler colonies, the Middle East, South Asia and South-east Asia benefited Britain. Surplus capital was often more profitably invested overseas, where cheap materials, limited competition, and abundant raw materials made a greater premium possible. Additionally, Britain wanted the southern and eastern coasts of Africa for stopover ports on the route to Asia and its empire in India. Britain had had some success in halting the slave trade around the shores of Africa. But inland the story was different — Muslim traders from north of the Sahara and on the East Coast still traded inland, and many local chiefs were reluctant to give up the use of slaves. Reports of slaving trips and markets were brought back to Europe by various explorers, such as Livingstone, and abolitionists in Britain and Europe were calling for more to be done. During the nineteenth century barely a year went by without a European expedition into Africa. The boom in exploration was triggered to a great extent by the creation of the African Association by wealthy Englishmen in 1788 (who wanted someone to ‘find’ the fabled city of Timbuktu and the course of the Niger River). As the century moved on, the goal of the European explorer changed, and rather than travelling out of pure curiosity they started to record details of markets, goods, and resources for the wealthy philanthropists who financed their trips. Henry Staley Morton: A naturalized American (born in Wales) who of all the explorers of Africa is the one most closely connected to the start of the Scramble for Africa. Stanley had crossed the continent and located the ‘missing’ Livingstone, but he is known for his explorations on behalf of King Leopold II of Belgium. Leopold hired Stanley to obtain treaties with local chieftains along the course of the River Congo with an eye to creating his own colony (Belgium was not in a financial position to fund a colony at that time). Stanley’s work triggered a rush of European explorers, such as Carl Peters. In 1840 the Nemesis arrived at Macao, south China. It changed the face of international relations between Europe and the rest of the world. The Nemesis had a shallow draft, a hull of iron, and two powerful steam engines. It could navigate the non-tidal sections of rivers, allowing access inland, and it was heavily armed. Livingstone used a steamer to travel up the Zambezi in 1858, and had the parts transported overland to Lake Nyassa. Steamers also allowed Stanley and Brazza to explore the Congo. Africa, especially the western regions, was known as the ‘White Man’s Grave‘ because of the danger of two diseases: malaria and yellow fever. During the eighteenth century only one in ten Europeans sent out to the continent by the Royal African Company survived. After the creation of a unified Germany (1871) and Italy (1871) there was no room left in Europe for expansion. The rivalry between Britain, France, Germany, and the other European powers accounts for a large part of the colonization. France, which had lost two provinces to Germany in 1870 looked to Africa to gain more territory. Britain looked towards Egypt and the control of the Suez canal as well as pursuing territory in gold rich southern Africa. Germany, under the expert management of Chancellor Bismarck, had come late to the idea of overseas colonies, but was now fully convinced of their worth. The vast interior between the gold and diamond-rich Southern Africa and Egypt had strategic value in securing the flow of overseas trade. Britain was under political pressure to secure lucrative markets against encroaching rivals in China and its eastern colonies, most notably India,Malaya, Australia and New Zealand. Thus, securing the key waterway between East and West – the Suez Canal – was crucial. Also there was a concern for the acquisition of military and naval bases, for strategic purposes. The growing navies, and new ships driven by steam power, required coaling stations and ports for maintenance. Defense bases were also needed for the protection of sea routes and communication lines. Colonies were also seen as assets in “balance of power” negotiations, useful as items of exchange at times of international bargaining. Colonies with large native populations were also a source of military power. In the age of nationalism there was pressure for a nation to acquire an empire as a status symbol. At the beginning of the nineteenth century Europe was only marginally ahead of Africa in terms of available weapons as traders had long supplied them to local chiefs. But two innovations gave Europe a massive advantage. In the late 1860s percussion caps were being incorporated into cartridges – what previously came as a separate bullet, powder and wadding, was now a single entity, easily transported and relatively weather proof. The second innovation was the breach loading rifle. Older model muskets, held by most Africans, were front loaders, slow to use and had to be loaded whilst standing. Breach loading guns, in comparison, had between two to four times the rate of fire, and could be loaded even in a prone position. Europeans restricted the sale of the new weaponry to Africa maintaining military superiority. The colonial empires had become very popular almost everywhere in Europe gradually: public opinion had been convinced of the needs of a colonial empire. Colonial exhibitions had been instrumental in this change of popular mentalities brought about by the colonial propaganda, supported by the colonial lobby and by various scientists. Thus, the conquest of territories were inevitably followed by public displays of the indigenous people for scientific and leisure purposes. Karl Hagenbeck, a German merchant in wild animals and future entrepreneur of most Europeans zoos, thus decided in 1874 to exhibit Samoa and Sami people as “purely natural” populations. In 1876, he brought from newly conquered Egyptian Sudan some wild beasts and Nubians people. Presented in Paris, London and Berlin, these Nubians were very successful. Such “human zoos” could be found in many European and American cities. Not used to the climatic conditions, some of the indigenous exposed died. In its earlier stages, imperialism was generally the act of individual explorers as well as some adventurous merchantmen. The colonial powers were a long way from approving without any dissent the expensive adventures carried out abroad. Various important political leaders such as Gladstone (British Liberal politician) opposed colonisation in its first years. Although Gladstone was personally opposed to imperialism, the social tensions caused by the Long Depression pushed him to favor jingoism (patriotism in the form of aggressive foreign policy). In France, then Radical politician Georges Clemenceau also adamantly opposed himself to it: he thought colonisation was a diversion from the “blue line of the Vosges” mountains, that is revanchism (the will to reverse territorial losses ) and the patriotic urge to reclaim the Alsace-Lorraine region which had been annexed by the German Empire with the 1871 Treaty of Frankfurt. The expansion of national sovereignty on overseas territories contradicted the unity of the nation state which provided citizenship to its population. Thus, a tension between the universalist will to respect human rights of the colonised people, as they may be considered as “citizens” of the nation state, and the imperialist drives to cynically exploit populations deemed inferior began to surface. Some, in colonising countries, opposed what they saw as unnecessary evils of the colonial administration when left to itself; as described in Joseph Conrad’s Heart of Darkness (1899) – contemporary of Kipling’s The White Man’s Burden. Colonial lobbies emerged to legitimize the Scramble for Africa and other expensive overseas adventures. In Germany, France and Britain, the middle class often sought strong overseas policies to insure the market’s growth. Within just 20 years the political face of Africa had changed – with only Liberia (a colony run by ex- African-American slaves) and Ethiopia remaining free of European control. David Livingstone‘s explorations, carried on by Stanley, excited imaginations. But at first, Stanley’s grandiose ideas for colonisation found little support owing to the problems and scale of action required, except from King Leopold II of Belgium, who in 1876 had organised the International African Association (the Congo Society). From 1869 to 1874, Stanley was secretly sent by Leopold II to the Congo region, where he made treaties with several African chiefs along the Congo River and by 1882 had sufficient territory to form the Congo Free State. Leopold II personally owned the colony as Congo Free State from 1885 and used it as a source of ivory and rubber. While Stanley was exploring Congo on behalf of Lopold II of Belgium, the Franco-Italian marine officer Brazza travelled into the western Congo basin and raised the French flag over the newly founded Brazzaville in 1881, thus occupying today’s Republic of the Congo. Portugal, which also claimed the area due to old treaties with the native Kongo Empire, made a treaty with Britain on 26 February 1884 to block off the Congo Society‘s access to the Atlantic. By 1890 the Congo Free State had consolidated its control of its territory between Leopoldville and Stanleyville, and was looking to push south down. By the same time, the British South Africa Company of Cecil Rhodes was expanding north from the Limpopo River and starting a colony in Mashonaland. To the West, in the land where their expansions would meet, was Katanga, site of the Yeke Kingdom of Msiri. Msiri was the most militarily powerful ruler in the area, and traded large quantities of copper, ivory and slaves — and rumours of gold reached European ears. The scramble for Katanga was a prime example of the period. Rhodes and Leopold sent many expeditions to Katanga. Msiri was shot, and the expedition cut off his head and stuck it on a pole as a “barbaric lesson” to the people. The half million square kilometres of Katanga came into Leopold’s possession and brought his African realm about 75 times larger than Belgium. The Congo Free State imposed such a terror regime on the colonised people, including mass killings and forced labour, that Belgium, under pressure from the Congo Reform Association, ended Leopold II’s rule and annexed it in 1908 as a colony of Belgium, known as the Belgian Congo. King Leopold II of Belgium’s brutality in his former colony of the Congo Free State, now the DRC, was well documented. Sleeping sickness and smallpox killed nearly half the population in the areas surrounding the lower Congo River. A similar situation occurred in the neighbouring French Congo. Most of the resource extraction was run by concession companies, whose brutal methods, along with the introduction of disease, resulted in the loss of up to 50 percent of the indigenous population.The French government appointed a commission, headed by de Brazza, in 1905 to investigate the rumoured abuses in the colony. However, Brazza died on the return trip, and his “searingly critical” report was neither acted upon nor released to the public. Ferdinand de Lesseps (French diplomat and later developer of the Suez Canal) had obtained many concessions from Ismail Pasha, the Khedive (Viceroy) of Egypt and Sudan, in 1854–56, to build the Suez Canal. Many workers died over the ten years of construction due to malnutrition, fatigue and disease. Shortly before its completion in 1869, Khedive Isma’il borrowed enormous sums from British and French bankers at high rates of interest. By 1875, he was facing financial difficulties and was forced to sell his block of shares in the Suez Canal. The shares were snapped up by Britain, under its Prime Minister, Benjamin Disraeli, who sought to give his country practical control in the management of this strategic waterway. When Isma’il repudiated Egypt’s foreign debt in 1879, Britain and France seized joint financial control over the country, forcing the Egyptian ruler to abdicate, and installing his eldest son Tewfik Pasha in his place. The Egyptian and Sudanese ruling classes did not relish foreign intervention. During the 1870s, European initiatives against the slave trade caused an economic crisis in northern Sudan, precipitating the rise of Mahdist revolt (radical group of Muslim dervishes) in 1881 in Sudan under Muhammad Ahmad, severing Tewfik’s authority in Sudan. The same year, Tewfik suffered rebellion by his own Egyptian army in the form of the Urabi Revolt. In 1882, Tewfik appealed for direct British military assistance, commencing Britain’s administration of Egypt (France pulled out of joint occupation) which ruled over Sudan and parts of Chad, Eritrea, and Somalia . A joint British-Egyptian military force ultimately defeated the Mahdist forces in Sudan in 1898. Thereafter, Britain (rather than Egypt) seized effective control of Sudan. In 1881 Tunisia became a French protectorate and the Transvaal regained its independence. France occupation of Tunisia convinced Italy to join the German-Austrian Dual Alliance in 1882, thus forming the Triple Alliance. Italy begins colonization of Eritrea. In 1884, Germany declared Togoland, the Cameroons and South West Africa to be under its protection; France occupied Guinea. Río de Oro claimed by Spain. French West Africa (AOF) was founded in 1895, and French Equatorial Africa in 1910. The occupation of Egypt, and the acquisition of the Congo were the first major moves in what came to be a precipitous scramble for African territory. In 1884, Bismarck convened the 1884–85 Berlin Conference to discuss the Africa problem. Berlin Conference, a series of negotiations (Nov. 15, 1884–Feb. 26, 1885) at Berlin, in which the major European nations met to decide all questions connected with the Congo River basin in Central Africa. The conference, proposed by Portugal in pursuance of its special claim to control of the Congo estuary, was necessitated by the jealousy and suspicion with which the great European powers viewed one another’s attempts at colonial expansion in Africa. The general act of the Conference of Berlin declared the Congo River basin to be neutral (a fact that in no way deterred the Allies from extending the war into that area in World War I); guaranteed freedom for trade and shipping for all states in the basin; forbade slave trading; and rejected Portugal’s claims to the Congo River estuary—thereby making possible the founding of the independent Congo Free State, to which Great Britain, France, and Germany had already agreed in principle. The diplomats put on a humanitarian façade by condemning the slave trade, prohibiting the sale of alcoholic beverages and firearms in certain regions, and by expressing concern for missionary activities. The diplomats in Berlin laid down the rules of competition by which the great powers were to be guided in seeking colonies. They also agreed that the area along the Congo River was to be administered by Leopold II of Belgium as a neutral area, known as the Congo Free State, in which trade and navigation were to be free. Navigation on the Niger and Congo rivers was to be free to all. No nation was to stake claims in Africa without notifying other powers of its intentions. No territory could be formally claimed prior to being effectively occupied. 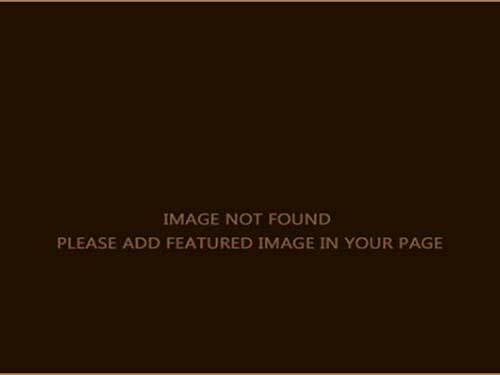 However, the competitors ignored the rules when convenient and on several occasions war was only narrowly avoided. It is usually the starting point of the Conquest of Africa. This conference ensured that partition is done without war fought among European nations. Germany was hardly a colonial power before the New Imperialism period. Fragmented in various states, it was only unified under Prussia’s rule after the 1866 Battle of Sadowa and the 1870 Franco-Prussian War. A rising industrial power close on the heels of Britain, Germany began its world expansion in the 1880s. After isolating France by the Dual Alliance with Austria-Hungary and then the 1882 Triple Alliance with Italy, Chancellor Bismarck proposed the 1884–85 Berlin Conference. Weltpolitik (world policy) was the foreign policy adopted by Kaiser William II in 1890, with the aim of transforming Germany into a global power through aggressive diplomacy, the acquisition of overseas colonies, and the development of a large navy.This was relayed by a real imperialist policy, backed by mercantilist thesis. In 1881, Schleiden, a lawyer, published Deutsche Kolonisation, according to which the “development of national consciousness demanded an independent overseas policy”. Pan-germanism was thus linked to the young nation’s imperialist drives. Generally, Bismarck was opposed to widespread German colonialism (as he wanted to consolidate newly unified Germany), but he had to resign at the insistence of the new German Emperor Wilhelm II on 18 March 1890. Wilhelm II instead adopted a very aggressive policy of colonization and colonial expansion. Germany was powerful but without colony unlike Britain and France. She could not have sit down quietly. Germany’s expansionism would lead to the Tirpitz Plan, implemented by Admiral Tirpitz, who would also champion the various Fleet Acts starting in 1898, thus engaging in an arms race with Britain. By 1914, they had given Germany the second largest naval force in the world (roughly 40% smaller than the Royal Navy of Britain). This aggressive naval policy was supported by the National Liberal Party rather than by the conservatives, implying that imperialism was supported by the rising middle classes. Germany became the third largest colonial power in Africa, in 1914 with its African possessions of Southwest Africa, Togoland, the Cameroons, and Tanganyika. Following the 1904 Entente cordiale between France and the British Empire, Germany tried to isolate France in 1905 with the First Moroccan Crisis. This led to the 1905 Algeciras Conference, in which France’s influence on Morocco was compensated by the exchange of other territories, and then to the Agadir Crisis in 1911. Along with the 1898 Fashoda Incident between France and Britain, this succession of international crises reveals the bitterness of the struggle between the various imperialist nations, which ultimately led to World War I. 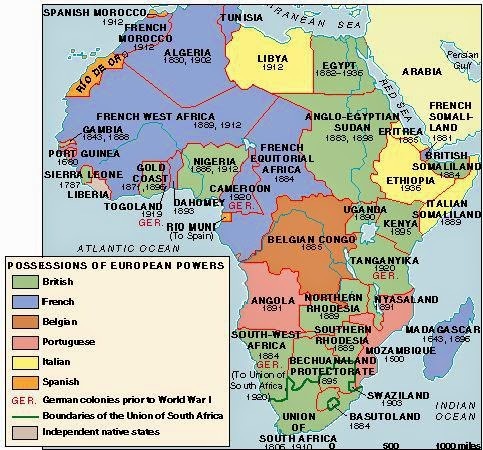 After World War I, Germany’s possessions were partitioned among Britain (which took a sliver of western Cameroon, Tanzania, western Togo, and Namibia), France (which took most of Cameroon and eastern Togo) and Belgium (which took Rwanda and Burundi). Italy took possession of parts of Eritrea in 1870 and 1882. Following its defeat in the First Italo–Ethiopian War (1895–1896), it acquired Italian Somaliland in 1889–90 and the whole of Eritrea (1899). In 1911, it engaged in a war with the Ottoman Empire, in which it acquired Tripolitania and Cyrenaica (modern Libya). In 1919 Enrico Corradini — who fully supported the war, and later merged his group in the early fascist party (PNF) — developed the concept of Proletarian Nationalism, supposed to legitimize Italy’s imperialism by a mixture of socialism with nationalism. The First Italo-Ethiopian War was fought between Italy and Ethiopia from 1895 to 1896. It originated from a disputed treaty which, the Italians claimed, turned the country into an Italian protectorate. Much to their surprise, they found that Ethiopian ruler Menelik II, rather than opposed by some of his traditional enemies, was supported by them, and so the Italian army, invading Ethiopia from Italian Eritrea in 1893, faced a more united front than they expected. In addition, Ethiopia was supported by Russia with military advisers and the sale of weapons for Ethiopian forces during the war. Full-scale war broke out in 1895. Italian defeat came about after the Battle of Adwa, where Ethiopian army delivered the Italians a heavy loss and forced their retreat back into Eritrea. This was not the first African victory over Western colonizers, but it was the first time such a military put a definitive stop to a colonizing nation’s efforts. Italo-Ethiopian War (1935–36) was an armed conflict that resulted in Ethiopia’s subjection to Italian rule. Often seen as one of the episodes that prepared the way for World War II, the war demonstrated the ineffectiveness of the League of Nations when League decisions were not supported by the great powers. The Second Italo-Abyssinian War would actually be one of the last colonial wars, occupying Ethiopia — which had remained the last independent African territory, apart from Liberia. Ethiopia (Abyssinia), which Italy had unsuccessfully tried to conquer in the 1890s, was in 1934 one of the few independent states in a European-dominated Africa. A border incident between Ethiopia and Italian Somaliland that December gave Benito Mussolini an excuse to intervene. Rejecting all arbitration offers, the Italians invaded Ethiopia on October 3, 1935. After the defeat, the Ethiopia’s leader, Emperor Haile Selassie, went into exile. In Rome, Mussolini proclaimed Italy’s king Victor Emmanuel III emperor of Ethiopia and appointed Badoglio to rule as viceroy. In response to Ethiopian appeals, the League of Nations condemned the Italian invasion in 1935 and voted to impose economic sanctions on the aggressor. The sanctions remained ineffective because of general lack of support. Although Mussolini’s aggression was viewed with disfavour by the British, who had a stake in East Africa, the other major powers had no real interest in opposing him. The war, by giving substance to Italian imperialist claims, contributed to international tensions between the fascist states and the Western democracies. It also served as a rallying point, especially after World War II, for developing African nationalist movements. The British were primarily interested in maintaining secure communication lines to India, which led to initial interest in Egypt and South Africa. Once these two areas were secure, it was the intent of British colonialists such as Cecil Rhodes to establish a Cape-Cairo railway and to exploit mineral and agricultural resources. Britain’s administration of Egypt and the Cape Colony contributed to a preoccupation over securing the source of the Nile River. Control of the Nile was viewed as a strategic and commercial advantage. Egypt was overrun by British forces in 1882 (although not formally declared a protectorate until 1914, and never an actual colony); Sudan, Nigeria, Kenya and Uganda were subjugated in the 1890s and early 20th century; and in the south, the Cape Colony (first acquired in 1795) provided a base for the subjugation of neighbouring African states and the Dutch Afrikaner settlers who had left the Cape to avoid the British and then founded their own republics. In 1877, Shepstone annexed the South African Republic (or Transvaal – independent from 1857 to 1877) for the British Empire. In 1879, after the Anglo-Zulu War, Britain consolidated its control of most of the territories of South Africa. The Boers protested, and in December 1880 they revolted, leading to the First Boer War (1880–81). British Prime Minister Gladstone signed a peace treaty on 23 March 1881, giving self-government to the Boers in the Transvaal. The Second Boer War, fought between 1899 and 1902, was about control of the gold and diamond industries; the independent Boer republics of the Orange Free State and the South African Republic (or Transvaal) were this time defeated and absorbed into the British Empire. The French thrust into the African interior was mainly from the coasts of West Africa (modern day Senegal) eastward, through the Sahel along the southern border of the Sahara, a huge desert covering most of present-day Senegal, Mali, Niger, and Chad. Their ultimate aim was to have an uninterrupted colonial empire from the Niger River to the Nile, thus controlling all trade to and from the Sahel region, by virtue of their existing control over the Caravan routes through the Sahara. The British, on the other hand, wanted to link their possessions in Southern Africa with their territories in East Africa (modern Kenya), and these two areas with the Nile basin. The Sudan (which in those days included most of present-day Uganda) was the key to the fulfilment of these ambitions, especially since Egypt was already under British control. This “red line” through Africa is made most famous by Cecil Rhodes. Rhodes advocated such a “Cape to Cairo” empire, linking the Suez Canal to the mineral-rich Southern part of the continent by rail. Though hampered by German occupation of Tanganyika until the end of the First World War, Rhodes successfully lobbied. If one draws a line from Cape Town to Cairo (Rhodes’s dream), and one from Dakar to the Horn of Africa (now Ethiopia, Eritrea,Djibouti and Somalia), (the French ambition), these two lines intersect somewhere in eastern Sudan near Fashoda, explaining its strategic importance. In short, Britain had sought to extend its East African empire contiguously from Cairo to the Cape of Good Hope, while France had sought to extend its own holdings from Dakar to the Sudan, which would enable its empire to span the entire continent from the Atlantic Ocean to the Red Sea. Fashoda Incident (September 18, 1898) was the climax, at Fashoda, Egyptian Sudan (now Kodok, South Sudan), of a series of territorial disputes in Africa between Great Britain and France. In order to fulfill France’s expansionist aspirations, the French foreign minister, Gabriel Hanotaux, promoted an expedition of 150 men eastward from Gabon in 1896, under the command of Marchand. Equally determined to reconquer the Sudan, a British force under Sir Herbert Kitchener was ordered simultaneously to advance southward from Egypt (where the British had been entrenched since 1882) up the Nile River. Marchand reached Fashoda on July 10, 1898, and occupied an abandoned Egyptian fort; Kitchener, having had first to take Omdurman and Khartoum, did not reach Fashoda until September 18. In the tense confrontation that ensued, neither Marchand nor Kitchener was ready to give up his claims to the fort, but, because both wished to avoid a military engagement, they agreed that Egyptian, British, and French flags should fly over the fort. The new French foreign minister, Delcasse, mindful of the incident’s international implications and anxious to gain British support against Germany, chose to ignore the outraged public’s reaction. On November 4 he instructed Marchand to withdraw from Fashoda but continued to press French claims to a string of smaller posts that would have kept open a French corridor to the White Nile. Although the British prime minister and foreign secretary, Lord Salisbury, rejected this proposal also, the French and British governments eventually agreed (March 21, 1899) that the watershed of the Nile and the Congo rivers should mark the frontier between their respective spheres of influence. Although the 1884–85 Berlin Conference had set the rules for the scramble for Africa, it had not weakened the rival imperialisms. The 1898 Fashoda Incident, which had seen France and the British Empire on the brink of war, ultimately led to the signature of the Entente cordiale of 1904, which countered the influence of the European powers of the Triple Alliance. As a result, the new German Empire decided to test the solidity of such influence, using the contested territory of Morocco as a battlefield. In 1904 France had concluded a secret treaty with Spain partitioning Morocco and had also agreed not to oppose Britain’s moves in Egypt in exchange for a free hand in Morocco. So, France’s influence in Morocco had been reaffirmed by Britain and Spain in 1904. Germany, however, insisted upon an open-door policy in the area; and, in a dramatic show of imperial power, the emperor Kaiser Wilhelm II visited Tangier and, from his yacht on March 31, 1905, declared for Morocco’s independence and integrity, challenging French influence in Morocco. The Kaiser’s speech bolstered French nationalism and with British support the French foreign minister, Delcasse, took a defiant line. The crisis peaked in mid-June 1905, when Delcasse was forced out of the ministry by the more conciliation-minded premier Rouvier. But by July 1905 Germany was becoming isolated and the French agreed to a conference to solve the crisis. U.S. Pres. Theodore Roosevelt was prevailed upon by the German Emperor to help bring about the 1906 conference in Algeciras. The 1906 Algeciras Conference was called to settle the dispute. Of the thirteen nations present the German representatives found their only supporter was Austria-Hungary. France had firm support from Britain, Russia, Italy, Spain, and the U.S. The Germans eventually accepted an face saving agreement, signed on 31 May 1906. France agreed to yield control of the Moroccan police, but otherwise retained effective control of Moroccan political and financial affairs. Although the Conference temporarily solved First Moroccan Crisis, it only worsened the tensions between the Triple Alliance and Triple Entente that ultimately led to the First World War. The First Moroccan Crisis also showed that the Entente Cordiale was strong, as Britain had defended France in the crisis. So, the real significance of the Algeciras Conference is to be found in the substantial diplomatic support given France by Britain and the United States, foreshadowing their roles in World War I, to which the Moroccan Crisis was a prelude. Five years later the Second Moroccan crisis (or Agadir Crisis) was sparked by the deployment of the German gunboat Panther, to the port of Agadir on 1 July 1911. Germany had started to attempt to surpass Britain’s naval supremacy – the British navy had a policy of remaining larger than the next two naval fleets in the world combined. When the British heard of the Panther’s arrival in Morocco, they wrongly believed that the Germans meant to turn Agadir into a naval base on the Atlantic. The German move was aimed at reinforcing claims for compensation for acceptance of effective French control of Morocco, where France’s pre-eminence had been upheld by the 1906 Algeciras Conference. This “Agadir Incident” sparked a flurry of war talk during the summer and fall (the British even made preparations for eventual war), but international negotiations continued. In the midst of this crisis, Germany was hit by financial turmoil with plunge in stock market. This forced Kaiser to back down. In November 1911 a convention was signed under which Germany accepted France’s position in Morocco in return for territory in the French Equatorial African colony of Middle Congo (now the Republic of the Congo). France and Spain subsequently established a full protectorate over Morocco (30 March 1912), ending what remained of the country’s formal independence. Furthermore, British backing for France during the two Moroccan crises reinforced the Entente between the two countries and added to Anglo-German estrangement, deepening the divisions that would culminate in World War I. Following the Berlin conference at the end of the 19th century, the British, Italians and Ethiopians sought to claim lands owned by the Somalis. The Dervish State was a state established by Abdullah Hassan, a Somali religious leader who gathered Muslim soldiers and united them into a loyal army known as the Dervishes. This Dervish army enabled Hassan to carve out a powerful state through conquest of lands sought after by the Ethiopians and the European powers. The Dervish State successfully repulsed the British Empire four times and forced it to retreat to the coastal region.Due to these successful expeditions, the Dervish State was recognized as an ally by the Ottoman and German empires. After a quarter of a century of holding the British at bay, the Dervishes were finally defeated in 1920 as a direct consequence of Britain’s use of aircraft. During the period 1904-08 Germany’s colonies in German South-West Africa and German East Africa were rocked by revolts against their rule. In both territories the threat to German rule was quickly defeated once large-scale reinforcements from Germany arrived, with the Herero rebels in German South-West Africa being defeated, the Maji-Maji rebels in German East Africa being steadily crushed by German forces slowly advancing through the countryside, with the natives resorting to guerrilla warfare. German efforts to clear the bush of civilians in German South-West Africa then resulted in a genocide of the population. Characteristic of this genocide was death by starvation and the poisoning of the population’s wells whilst they were trapped in the Namib Desert. Liberia, founded by the American Colonization Society of the United States in 1821; declared independence in 1847. Ethiopian Empire (Abyssinia) had its borders re-drawn with the establishment of Italian Eritrea; Ethiopia was occupied by Italy in 1936 during the Abyssinia Crisis. During the New Imperialism period, by the end of the 19th century, Europe added almost one-fifth of the land area of the globe – to its overseas colonial possessions. Between 1885 and 1914 Britain took nearly 30% of Africa’s population under its control; 15% for France, 11% for Portugal, 9% for Germany, 7% for Belgium and 1% for Italy.In terms of surface area occupied, the French were the marginal victors but much of their territory consisted of the sparsely populated Sahara. The political imperialism followed the economic expansion, with the “colonial lobbies” bolstering chauvinism and jingoism at each crisis in order to legitimise the colonial enterprise. The tensions between the imperial powers led to a succession of crises, which finally exploded in August 1914, when previous rivalries and alliances created a domino situation that drew the major European nations into the First World War. Q. “In All the Long Annals of Imperialism, the Partition of Africa is a Remarkable Freak.” Comment. See previous years solved paper section for answer. Q. Trace the stages in the partition of Africa after 1870. How did it affect international relations?